Prime Minister Nguyen Xuan Phuc has pledged support to all scientists and engineers in space technology development. The Prime Minister also said that Vietnam’s MicroDragon satellite has been tested as working normally after being launched into space by Japan’s Epsilon rocket on 18 January. 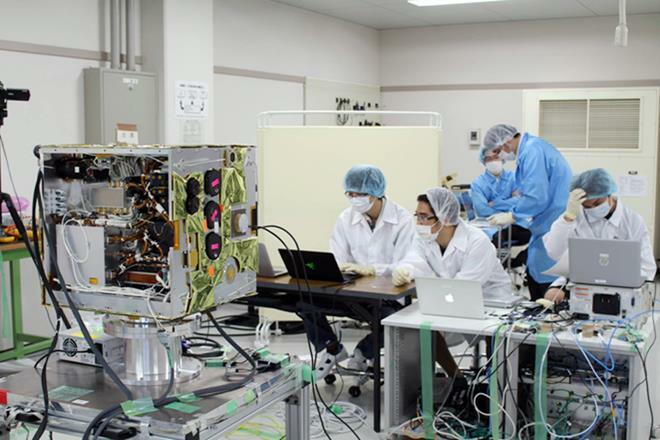 The launch of the MicroDragon satellite took place at 7:50am (Hanoi time) at Uchinoura Space Centre in Kagoshima Prefecture, Japan. The satellite is the result of combined efforts by the Vietnam Academy of Science and Technology (VAST) and the Vietnam National Space Centre, under the direction of the Ministry of Science and Technology. The MicroDragon is part of a project on disaster and climate change preparation using satellites to observe planet Earth. He praised and thanked the Japanese Government, research institutes, and universities for supporting Vietnam in this new field, laying an important foundation for space technology development in the future. The leader spoke of how happy he was that Vietnamese engineers were able to master the technology and are now ready to manufacture satellites that weigh below 50kg. He added that the result has affirmed Vietnam’s space sovereignty in the digital era and its capacity in satellite design and manufacturing. The MicroDragon was developed by 36 Vietnamese engineers from the National Space Centre with the help of Japanese experts. The engineers were all sent to study space technology at five top universities in Japan between 2013 and 2017. He asked the Ministry of Planning and Investment to submit a project on building an outer space control station, while asking that the VAST pay further attention to workforce training towards manufacturing larger-scale satellites in the country. The VAST was also required to implement the space technology development strategy in the near future. The satellite will be used to monitor coastal areas to assess water quality, locate fishery resources, and observe any changes in coastal waters to serve Vietnam’s water farming industry.